It can be difficult choosing daytime jewelry for yourself - sometimes we end up waiting for a friend to treat us with a jewelry gift. It’s not just that we can’t afford it but simply because we can’t decide. There are so many options out there with trends frequently changing so it can be a difficult decision, we get lost in bundles of designs and styles. I do think there is an element of costs too, even the high street brands add up once you have added a few different items to the basket. Sentimental - - Are you the kind of person that has that one single piece that you wear every day and never take off? It makes it difficult when you are emotionally attached to one item for you to take it off and swap it for something else. It can also be difficult to match anything else with it. I think the key here is to find pieces that you can layer with your sentimental piece to complement it. For example if you wear a gold locket on a long chain you can add pieces around it such as a bar necklace on a shorter chain, which will balance out the look. Elegant - Do you dress up everyday? Is your style the kind where your day outfit is the ‘casual’ person's evening outfit? I’m thinking diamonds and pearls, heels and handbags, fancy clothes, hair styled and make-up fixed. Basically, you don’t do casual but you do tone it down for the day. 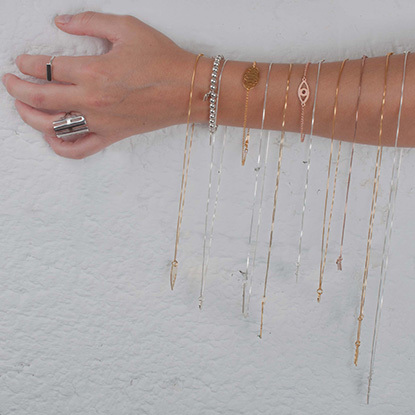 If your fallback is usually heavy bling then try to soften the look by adding a simple bracelet or cuff. Preppy - You always seem well put together with a geeky sort of schoolgirl look about you. The preppy look is all about being well groomed and adorably chic. Monograms and heart necklaces are a great addition to your cute outfit. Statement - People who wear statement pieces should be wearing plain, simple clothing and not overly exciting patterns or colors. What you are trying to do is allow your jewelry to stand out and give your outfit the wow factor - Your statement piece can be either a necklace, earrings and in some cases the bangle or bracelet. You can even match the bracelet to the necklace - but remember never to overdo it. Make sure to stock up on statement pieces so you have enough to swap each day and can match to each of your basic daytime outfits. Here’s how to wear statement necklaces: A statement necklace should be bold and big in size - The greatest beauty of it is that you don’t need to think what to put with it, you just need that one gorgeous, stand out piece. 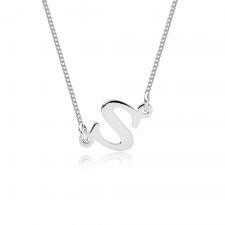 The necklace should fit with the neckline of your top or dress and can be matched with a pair of earrings or a bangle. Do not choose opposite types of statement pieces or they will clash, they should be of the same style / design otherwise you will overdo it. You must make sure you are comfortable. When you wear for the day it can be a long time so you wouldn’t want to be too heavy, have sharp edges and you must love it - don’t wear something that really is not you or you will feel uncomfortable. Consider how much you are able and willing to spend - then choose stores that meet that budget. If your budget is high you can be smart with your money and invest in real gold that will last forever. If you are on a smaller budget you can buy high street jewelry and get lots of different pieces, including gold plated and sterling silver items. You can build your jewelry box over time, so don’t worry if you are on a low budget, you can treat yourself every paycheck with a new piece or two. This is a great technique for everyone since new styles are coming out you should always be adding to your collection. Eventually you will have plenty to choose from. 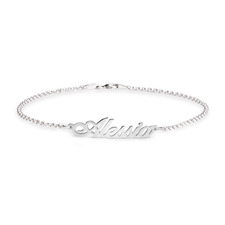 There are different types of jewelry for each Jewelry category. 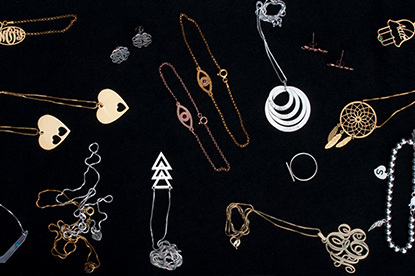 The main categories are: Necklaces, Bracelets, Earrings and Rings. You can always buy different types of jewelry together, for example, a necklace and earrings could match and you may just have to buy them together. On the other hand you also don’t need to, you can buy separately and go solo, especially with statement pieces. You should be sure to mix the same categories of jewelry and not make a complete mis-match. For example, gems go with gems - you shouldn’t wear big, shiny gems on a necklace with monogram earrings, it just doesn’t go. An example of what would work is a name necklace with some very plain hoop earrings of the same metal material. This looks like they came together and is pieced together nicely and smoothly without overdoing it. Like you shouldn’t wear a name necklace and name earrings - that is overdoing it.